With more than 85 million unique users per day and over 2 billion daily page views, SINA is the most recognized internet brand name among Chinese communities globally. 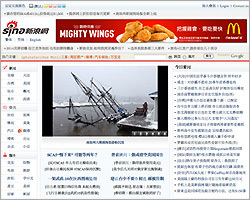 SINA’s portal network consists of four destination websites dedicated to the Chinese communities across the globe: Mainland China (www.sina.com.cn), Taiwan (www.sina.com.tw), Hong Kong (www.sina.com.hk), and overseas Chinese in North America (www.sina.com). 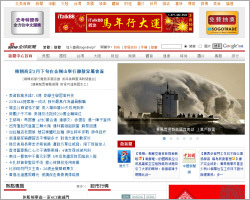 Each destination site consists of Chinese-language news and content organized into interest-based channels. SINA U.S. is the largest Chinese media and Internet services company in the North America. 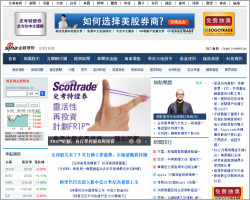 SINA U.S. site currently has over 1.4 million registered users with 2.5 million average daily page views. Among our users, the average household annual income is $81,000 USD, when compared to the national average income of $44,000 USD. SINA U.S. is the only online Chinese media company to have the largest customer exposure to the Fortune 500. Some of our active key clients include AT&T, Caesar Entertainment, Chase, Coca-Cola, Comcast, Delta Airline, Ford Motor, General Motors, Godiva, Hyundai, Infiniti, Lancome, McDonald’s, Nissan, State Farm Insurance, Toyota, Wal-Mart, Wells Fargo, Verizon, and more. 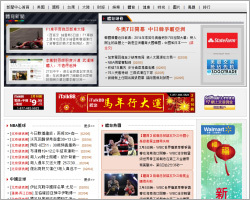 SINA U.S. is the largest Chinese media and Internet services company in the North America. It has become a visible media outlet for those companies who are interested in marketing to Chinese Americans. SINA's clients include both domestic companies and international firms with strong demand from advertisers in automobiles, finance, real estate, electronics, and branded consumer products. A one-stop news portal for Chinese American to keep up with the latest happenings in both the U.S. as well as the Asian region: China , Taiwan and Hong Kong . The current range includes current affairs, entertainment, living, sports, business, and technology areas. In addition to the U.S. market coverage, a summary of China , Taiwan and Hong Kong Financial Market development is also included in this Channel with articles from various leading new publications from Asia. 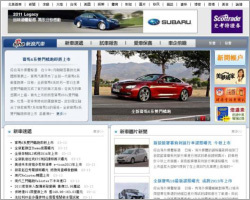 SINA Auto offers the latest automobile-related news and service information to provide in-market auto shoppers and car enthusiasts with current information on automotive pricing, reviews, and featured guides. 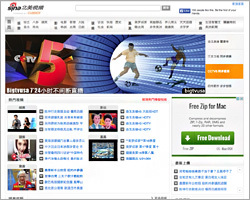 SINA Sports offers multimedia news and information on a wide range of sporting events. SINA Sports features domestic and international soccer matches, NBA games, NFL games, general sports as well as coverage of world-famous sports stars and teams. SINA Fashion serves as an interactive platform for fashion-conscious users to share comments and ideas on a range of topics, such as health, cosmetics and beauty. This channel also provides real-time coverage of major world fashion events, bringing users the latest styles and trends. SINA Entertainment contains extensive coverage of local and international entertainment news and events, including dining, movies, television programs, plays, operas, as well as popular and classical music. SINA Video provides the latest, high-quality, easy-to-use interactive video programs to Chinese-Americans. SINA Video is divided into various vertical categories, including News, Entertainment, Funny video, and Fashion. Launched in August 2009, WEIBO.com began as a microblogging service that enabled users to follow celebrities and share UGC online. WEIBO.com has since expanded its user base to include commercial entities, such as small and medium enterprises, Fortune 1000 companies, media firms and government organizations. WEIBO.com allows users to connect from anywhere, anytime and with anyone on our platform. Designed for easy, frequent interactions and to expedite the spread of information, WEIBO may be accessed from desktop and mobile applications on iPhone, iPad, Android, Blackberry and Symbian S60 devices. 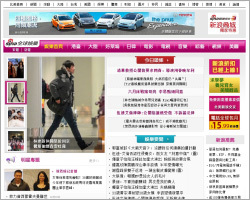 We deliver the latest information and entertainment content from SINA portal to mobile users via WAP and Mobile Apps. *Specific information about SINA China's channels and services will be provided upon request. 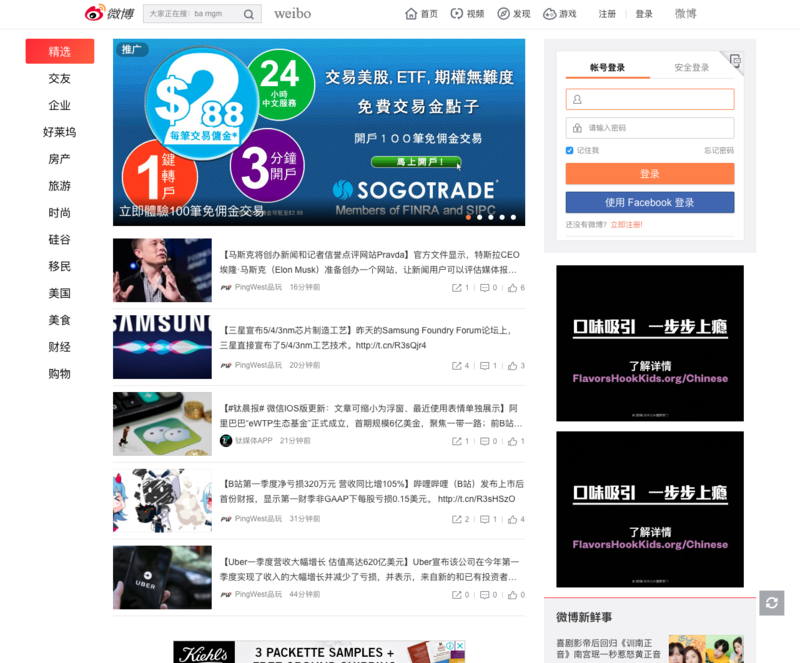 SINA Taiwan focuses on leading the "We-are-the-net" lifestyle and provides rich information on world trends as well as localized channels for Taiwan residents. The major channels and services include Information (news, magazine), Entertainment (games, MindCity, SMS, comics), E-business (shopping, travel, auction), Tools/Services (SinaMail, ISP, ring tone, cell phone game), Communities (dating, BBS), and more. *Specific information about SINA Taiwan's channels and services will be provided upon request.